The entries for today’s Greek word are very interesting taken in context with this passage. Have fun puzzling through this word choice by the ancient Greeks. 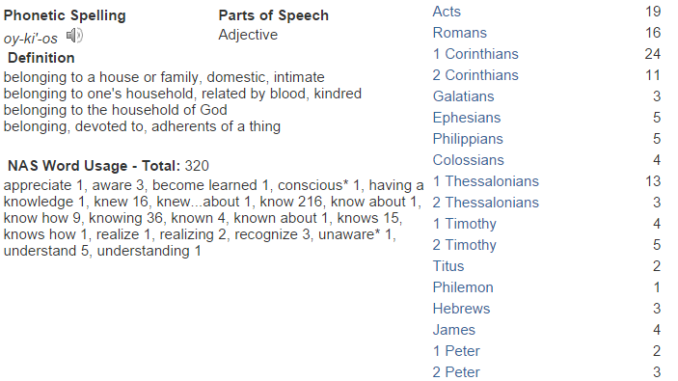 Greek Word of the Day Knows/Oikeios (Strongs 3624) from www.biblestudytools.com HERE.